Cambridge Cleaning and Maintenance is an excellent choice for all your cleaning and maintenance needs. Call 866.CLEAN18 for an estimate. We have you covered from floor to ceiling. 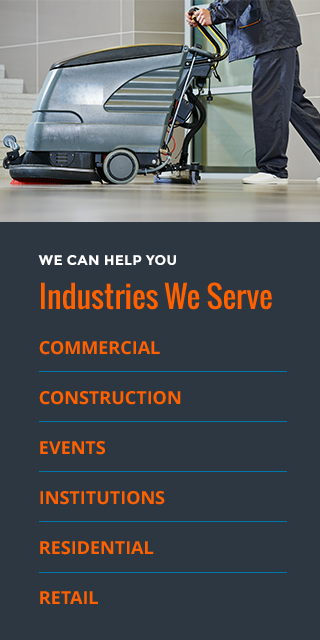 Cambridge Cleaning and Maintenance offers a wide range of commercial cleaning services customized to meet your specific cleaning and maintenance needs. With an attention to detail, we maintain the highest standards of cleanliness and always look to exceed customer expectations. We offer competitive pricing and flexible scheduling. And, no project is too big or too small. We are proud that Cambridge Cleaning and Maintenance is a provider of green cleaning services, following guidelines created in compliance with Leadership in Energy and Environmental Design (LEED) requirements. As an organization, we also follow sustainable business practices, and utilize the latest cleaning and maintenance equipment. Our approach allows us to be efficient and effective, as well as environmentally friendly. We employ qualified, responsible, and reliable people, who have been carefully screened. You will find our team to be highly-trained, well supervised, hardworking and knowledgeable about all your cleaning service requirements. We offer daily, weekly, and monthly professional janitorial services for offices and commercial buildings. Our specialists are experienced with all types of floors. We offer a range of services from carpet shampooing and stain removal to stone, marble, granite and tile cleaning. Our window cleaning services include residential properties, commercial buildings, storefronts, and more. Keep your property in pristine condition with our flexible daily or weekly day porter services. We offer trash, waste and junk removal services for commercial and residential properties, with flexible scheduling options. Same-day hauling and disposal also available. Our power washing team will freshen up building exteriors, walkways, driveways and more, to make your property clean, welcoming, and inviting. Our construction cleaning services include rough, final and touch up. Your property will be move-in ready, and on schedule. We provide cleaning services for events of all sizes, covering every stage from pre-event set up to a deep clean after breakdown.